It's an all-Spanish affair in one of the Europa League quarter-finals, and Kevin Hatchard's backing Valencia to build themselves a platform. "Villarreal have done well in the Europa League, but have really struggled against Spanish opposition all season." It says a lot about the chaotic nature of Villarreal's season that just 50 days after they fired coach Javi Calleja, they welcomed him back into the role after a bad season had gotten even worse under his successor Luis Garcia Plaza. Calleja is a Villarreal man, having played for the Yellow Submarine and coached both the youth and senior sides. As such, it will hurt him more than most if the team is relegated on his watch. While VCF have continually exceeded expectations in the Europa League, they have not been able to find any consistency in La Liga. They blew a two-goal lead in an incredibly costly 3-2 defeat at fellow strugglers Celta Vigo, they were 4-2 up against Barcelona in the 90th-minute and then the genius Lionel Messi helped engineer a 4-4 draw, and at the weekend they lost 2-1 at Real Betis. Only goal difference separates them from safety, but the danger of relegation is very real. In this season's UEL, Villarreal have been excellent, especially at home. They have won three and drawn two of their games at the Ceramica, and in the last 16 they surprised everyone by sweeping aside Zenit home and away. 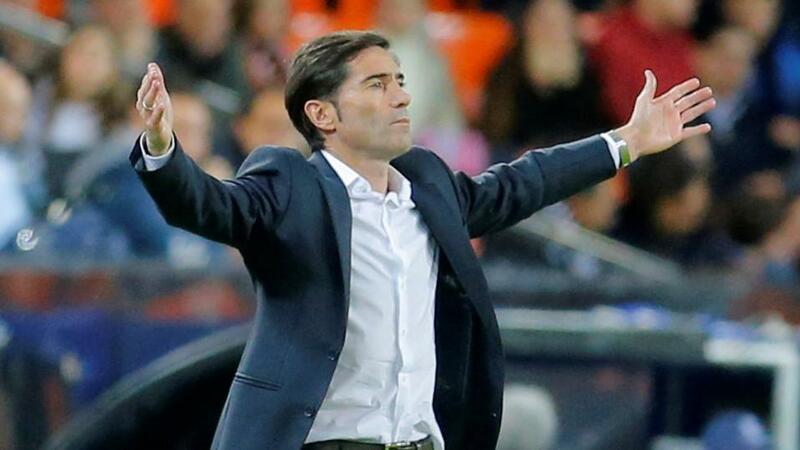 We often rush to judgement in football, but Valencia have shown patience with coach Marcelino, even when it seemed this season would drown in draws. Los Che's inability to turn one point into three seemed as if it would cost them dearly, but they have moved through the gears and could be in line for a glorious end to the campaign. Valencia are back in the race for the Champions League, they'll face Barcelona in the final of the Copa del Rey, and they are well placed to reach at least the semi-finals of the Europa League, a tournament they won under Rafa Benitez when it was the UEFA Cup in 2004. They showed fighting spirit in the last 16, as they were seconds away from elimination against Russian side Krasnodar, only for Goncalo Guedes to score a crucial last-gasp goal. Valencia drew 0-0 at Villarreal earlier in the season, and beat them 3-0 in the reverse fixture. Although they suffered a surprise 2-1 defeat at Real Valladolid at the weekend, it's worth remembering that loss ended a 17-match unbeaten run in all competitions. Marcelino's men beat Real Madrid last week, and the coach knows Villarreal incredibly well, having led them to the semi-finals of the UEL in 2016. Influential midfield string-puller Dani Parejo is back after a ban, but fellow midfielder Carlos Soler is suspended. Valencia have lost just five of their 31 league matches this term, and only runaway leaders Barcelona have a better record. For all of Villarreal's heroics in this competition, they are still leaking far too many goals to back with any confidence, so my temptation is to back Valencia to be solid and perhaps nick a first-leg lead. I'd back the visitors Draw No Bet at [1.9] against a Villarreal side that has won just four home games against Spanish opposition all season. While Villarreal have been scoring and conceding goals with abandon, Valencia have been much more circumspect. Three of their four UEL games have featured fewer than three goals, as have seven of their last nine matches in La Liga. I wouldn't expect much to change here, as Marcelino looks to frustrate and rely on the quality of attacking players like Guedes and Rodrigo. I can understand why Under 2.5 Goals is trading at [1.77].